Ta'al chairman says he will refuse to serve in any government, criticizes Gantz. 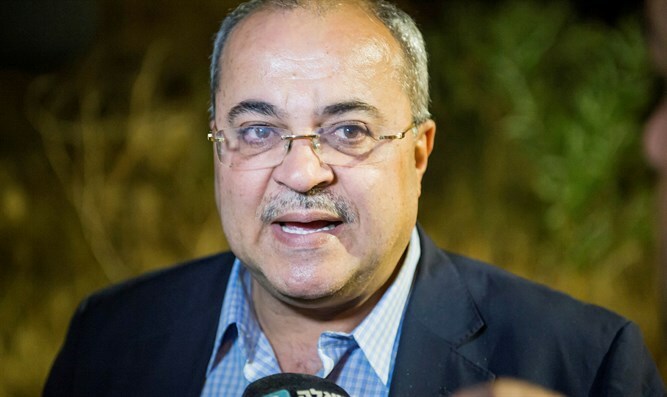 MK Ahmed Tibi, head of the Ta’al party, on Sunday reaffirmed his refusal to serve in “any government” and declared his intention to upgrade the status of the Arab minority “from the outside. “I cannot be part of any government taking for example a decision to attack Gaza or to support huge budgets cuts in settlements or to confiscate land or to destroy houses in the Negev,” Tibi added. The Arab MK also criticized former IDF Chief of Staff Benny Gantz’s campaign video on Gaza. In the video, Gantz’s Israel Resilience party video boasts that the IDF destroyed more than 6,000 Hamas targets under Gantz’s command during the 2014 war with Gaza, sending parts of the coastal enclave “back to the Stone Age”. Tibi recently split from the Joint List in order to run separately with his Ta’al party. On Friday, he confirmed that his party would run independently from the other three parties that constitute the Joint Arab List – Hadash, Balad and Ra’am. “We decided and we declared we are going independently,” he reiterated on Sunday, explaining that the Joint List had come under criticism from those within the Arab-Israeli community in Israeli. Tibi is one of the more controversial Arab MKs in the Knesset, having in the past encouraged Arabs to disobey the “Muezzin Law” which would limit the use of loudspeakers during the call to prayer in mosques. He has also praised the Palestinian Authority’s “martyrs” at a ceremony held on the occasion of "Palestinian Martyrs Day” and sponsored by Palestinian Authority chairman Mahmoud Abbas. Tibi once described Yisrael Beytenu chairman Avigdor Liberman as a “Jewish ISIS”, after Liberman advocated for “cutting of the heads” of Arabs who were not loyal to Israel. More recently, he spoke of his dream to one day become Israel’s prime minister, “and if I it’s not me, then it will be another Ahmed, Mohammed or Mahmoud," he added.